Traditionally, Black History Month is a time to reflect upon, acknowledge and honor Black leaders who significantly changed and influenced America’s history. Just as it is important to honor those who came before us, it is just as necessary to acknowledge and spotlight those who are social justice leaders today. NEO is committed to lifting up the voices of African American and other advocates of color who are our grantees and partners. NEO believes that the philanthropic sector must invest in the skills and leadership capacity of those who represent the diverse communities we serve. During Black History Month, we will profile a few of the many Black leaders and NEO partners who are making waves in social justice. 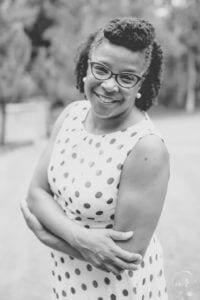 This post features Tanya Wallace-Gobern, the Executive Director of National Black Worker Center Project. The National Black Worker Center Project is a fiscally sponsored project of NEO Philanthropy. Most people are familiar with the phrase, “If you are doing what you love, you’ll never work a day in your life.” Well, Tanya Wallace-Gobern is one of lucky ones doing just that. As the Executive Director of the National Black Worker Center Project, she is fulfilling her dream to serve and uplift the Black community. As a criminal justice and social work major in college, Tanya fell into an internship at the Organizing Institute of the AFL-CIO right before graduation that changed her career trajectory. Tanya climbed the ladder and continued to work in advocacy and organizing for more than 20 years, but as time went on, she felt she was getting farther and farther from her calling – making a difference in the Black community. That is until she joined the National Black Worker Center Project. The National Black Worker Center Project focuses on supporting and incubating Black worker centers, providing education about the impacts of low-wage work and unemployment in the Black community. The Center works to prevent racial discrimination in the work place. Through national convenings, supporting their local affiliates and creating campaigns and initiatives to share the Black worker’s experience, Tanya and the National Black Worker Center Project are protecting the rights of unemployed and low-wage Black workers everywhere. While working on the Project’s national “Working While Black” campaign, Tanya realized the scope of Black workers facing discrimination was much bigger than the unemployed and low-wage workers she primarily focused on. While speaking to a man who worked in film in L.A. and earned a six-figure salary, he uttered words that would stick with her: “What about the rest of us?” Tanya thought, if you believe he shouldn’t be the kind of person the National Black Worker Center Project should also focus on, you’d be wrong. Research shows the more educated or the higher the salary, the more opportunities there are for discrimination against Black workers. Tanya is working against the discrimination itself, as well as the fallacies that once Black workers reach a particular status or salary, they no longer encounter discrimination. As a Black worker herself, Tanya knows this to be true. That’s why it’s so important to her that she, and people who look like her, are at the forefront of the movement. She understands the people she serves aren’t waiting for a savior. What they are looking for is leadership development so they can become the leaders in their own movement. Although their focus is on Black workers, Tanya is clear that the work the National Black Worker Center Project does encompasses people of all races, economic status, religion and sexual orientation. “The work doesn’t end with us. It isn’t a poor person’s issue, or a Black person’s issue, or rich person’s issue, these are worker issues.” Tanya doesn’t think she can solve this problem any time soon, but that isn’t stopping her from trying. She believes the mere existence of her organization is a win for workers everywhere. To learn more about the National Black Worker Center Project, or get involved with an affiliate, please visit: https://nationalblackworkercenters.org/.